Art Andersen Copenhagen is a well-known design and development house working creatively together with architects, engineers, and consultants. The client came with an idea of creating intelligent Venetian blinds. Develco was chosen as their development partner and became responsible for the embedded software and hardware in the blinds. The challenge was for Develco to make a small control unit containing all the necessary mechanics which would fit into the top of the blinds without interrupting the design. Furthermore, the mechanism should work as quietly and precise as possible. 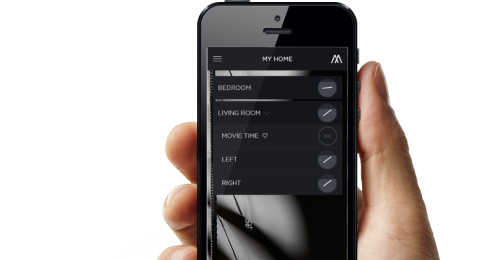 The goal was to be able to control and adjust the blinds via an app on a smartphone. 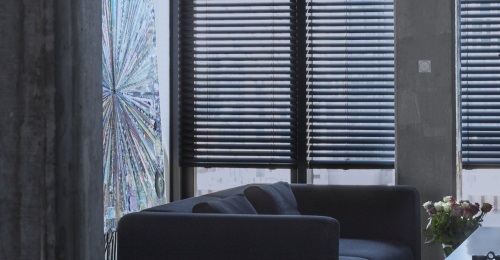 Via wireless technology, the blinds should be able to adjust automatically. Art Andersen CPH wanted a beautiful design, but at the same time, they wanted the best technology implemented. Develco developed and implemented the electronics for the motor steering and software for very precise regulation of the position of the blinds. All the electronics were installed descretely inside the top cylinder of the blinds. Together with Develco, Art Andersen CPH chose Z-Wave as the wireless technology for the blinds. Z-Wave is very well suited for products for smart homes, where it is essential to be able to integrate several products into one system. Z-Wave is also a low power protocol, which means that the blinds have very long battery time. This meant that the blinds would have a life time of minimum 1 year before having to charge them again. By choosing Develco as their development partner, Art Andersen CPH accomplished their wish for beautifully designed blinds with groundbreaking intelligent software inside. Copenhagen Blinds are easily controlled via an app which increases comfort in homes and in companies. The last important thing that Develco was in charge of, was to make sure that the blinds got all the necessary safety and radio certifications. In that way, Copenhagen Blinds were ready to be launched to the market.